Athletic Trainers collaborate with doctors, physical therapists, registered dietitians, and more to provide care for the entire person—not just the injury. Learn Athletic Training from Certified Athletic Trainers working in the field, in our personalized program. Completion of 40 hours of Professional exploration: a minimum of two athletic training practice settings addressing the needs of distinct patient populations. Our admissions committee begins reviewing complete and verified applications on February 18th, 2019. Students may apply after the deadline, and we will review applications on a rolling basis as space permits in the cohort. 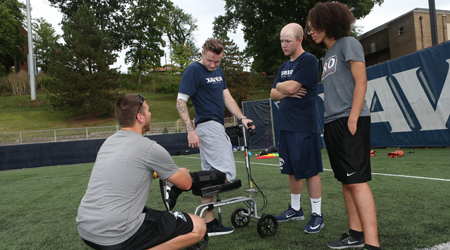 A one-page statement of your career goals and how Xavier's Athletic Training Program fits with your goals. Qualified students will complete an Interview with an Athletic Training Faculty member (in person or over the phone). Prospective students will be asked to submit the following along with an online application form by the Admission Deadline (February 15th for the following summer semester). Applications will be accepted after the deadline if room in the cohort permits. Once all pre-requisites have been meet, qualified students will complete an Interview with an Athletic Training Faculty member (in person or over the phone). Purpose: Provide an opportunity for prospective students to gain realistic information about the profession of athletic training to aid the student in making an informed career choice. Observe at least 2 Certified Athletic Trainers who work in different practice settings. Observation experiences must total a minimum of 40 hours. Certified Athletic Trainers work in a variety of settings including: High Schools, College and Universities, Professional Sports, Sports Medicine Clinics or Rehabilitation Facilities, Industrial Settings, Performing Arts, and the Military. Documentation of completed observation hours is required and must be in the form of a verification letter. 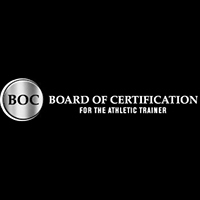 The name and credentials of the Certified Athletic Trainer (ATC) you observed. Contact information for the certified athletic trainer you observed. Please include an email address and phone number. The specific clinical setting (e.g. Norwood High School, Beacon Orthopedics, Cincinnati Ballet, etc.). The total number of hours observed. The signature of the Certified Athletic Trainer with the date. If multiple Athletic Trainers were observed at the same setting, please include the contact information for each Athletic Trainer, but only one signature is required. You must complete a separate verification letter for each practice setting. Please note that hours obtained under the supervision of a physical therapist do NOT count unless the individual is dual credentialed as with both ATC and PT. Professional attire: In most athletic training settings, khaki pants, polo shirts, and closed toed shoes are acceptable. Please ask the Athletic Trainer you plan to observe what would be appropriate in their specific setting. 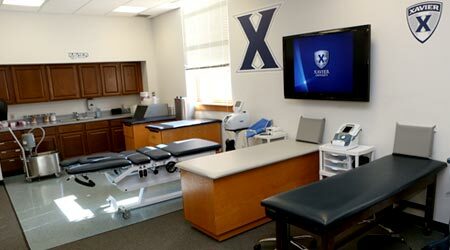 For more information regarding observation hours for the application to the Master of Science in Athletic Training Program at Xavier University please contact Dr. Tina Davlin-Pater, Program Director, at (513) 745-3430. ATTR 500 - Care and Prevention: - In this class students will learn some of the most widely used techniques they will use when they start their clinical rotations in their first fall. They will learn how to screen for pre-existing injury/illness, determine environmental safety, and bodily response to injury. ATTR 501 - Athletic Training Skills: - During the skills class students will practice skills they can immediately use when they start their clinical rotations. They will learn how to apply skills in taping, bracing, and functional aids to assist patients after injury. ATTR 521 - Lower Extremity Injuries: - Students will learn how to prevent, assess, evaluate, and recognize common lower extremity injuries. ATTR 531 - Therapeutic Interventions 1: - Learn how to provide comprehensive treatment for common injuries. ATTR 562 - Clinical Experience 2: - Students will immerse themselves in their clinical rotations, working directly with patients in various settings under the supervision of a preceptor. They will also meet regularly with faculty to review and practice clinical skills they are using in their clinical rotations. Orientation starts on July 7th, 2019. Classes begin on July 8th, 2019. "Xavier University laid the foundation for me as an Athletic Trainer, and to be honest I probably wouldn't be with the Red Sox today had I not attended XU. 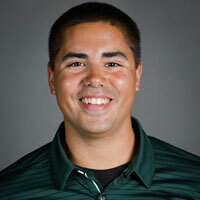 My first experience with MLB came because of Xavier's clinical rotation with the Cincinnati Reds." 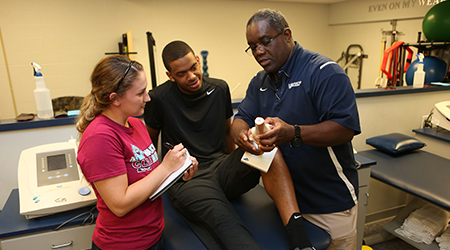 "The Xavier AT program contributed to my success as an Athletic Trainer. I was given the attention and the confidence necessary for me to excel not only as a student, but also as a professional post graduation. I especially liked the small class sizes, which allowed my professors to get to know me, that in turn, helped me both in and outside of the classroom. Dr. Davlin placed me in clinical sites that fit my needs and allowed me to learn at a comfortable pace as well as challenge me. If it wasn't for the Xavier AT program, I would not be where I am right now professionally." "As I reflect back on my experience in Xavier's AT program, I realize that many of the treatment techniques and theories that I currently utilize within my clinical practice were first introduced to me by the preceptors associated with Xavier. While my knowledge has continued to expand after Xavier, without this strong foundation, I would not be in the same position I am currently in." "The athletic training program at Xavier prepared me extremely well for my next step as an athletic trainer working in the collegiate setting. The knowledge I learned in the classroom, combined with the practical hands on experience I got in my clinical rotations, set me up for success immediately after leaving the program." 100% All Athletic Training students work outside the classroom with certified Athletic Trainers. All Athletic Training students work outside the classroom with certified Athletic Trainers. Get clinical experience in high schools, colleges, and professional sports, as well as more contemporary settings like ballet studios. Gain knowledge and skills in our athletic training lab, which provides tables for injury evaluation and state-of-the-art rehabilitation equipment. At Xavier, our small class sizes allow you to ask the right questions and get the attention you need to succeed and learn. Spend 4 semesters gaining hands-on clinical experience. Gain experience working with Xavier University Division I athletes. Gain experience in a variety of settings: local high schools and rehabilitation clinics, professional sports teams, hospitals, and more. Focus on professional development both in the classroom and with real-world experiences. Personal guidance from instructors and preceptors. Sport Studies Prepare X Students for Real World. 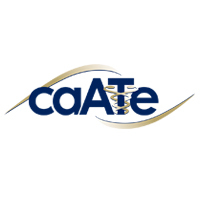 The Athletic Training Program at Xavier University was granted continuing accreditation by the Commission on Accreditation of Athletic Training Education (CAATE). Xavier graduates are well prepared for the BOC Exam. The Class of 2018 had a 100% pass rate!